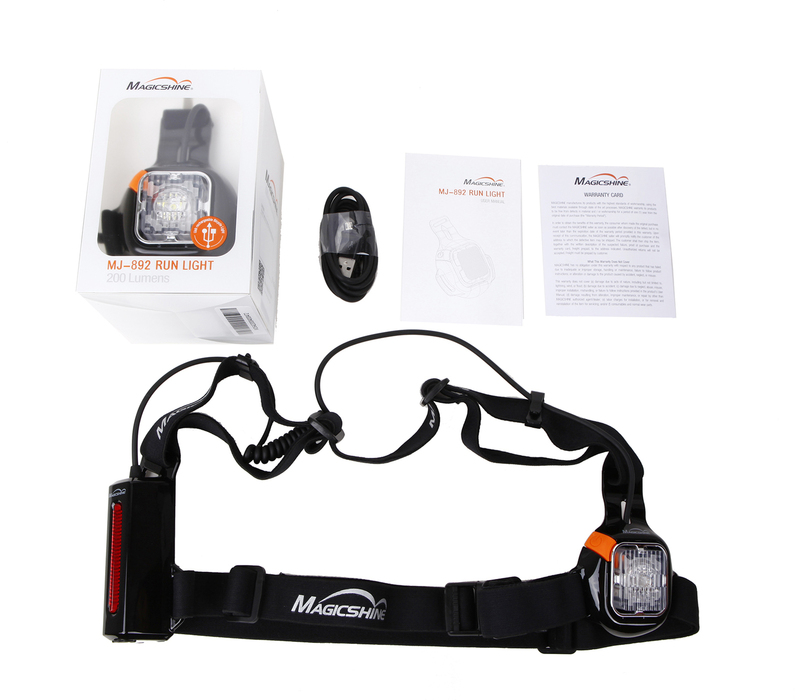 Magicshine MJ-892 running light lights up 20 meters in front of the runner with a width of about 5 meters, helping making foliage, water puddles, rocks and other obstacles stand out. 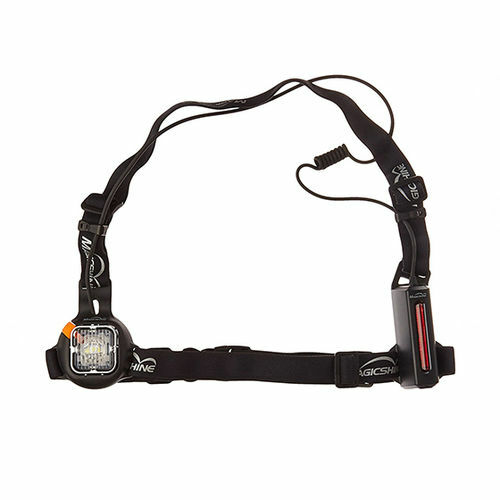 The red LEDs on the back helps keep you visible while jogging, biking, or walking at night. 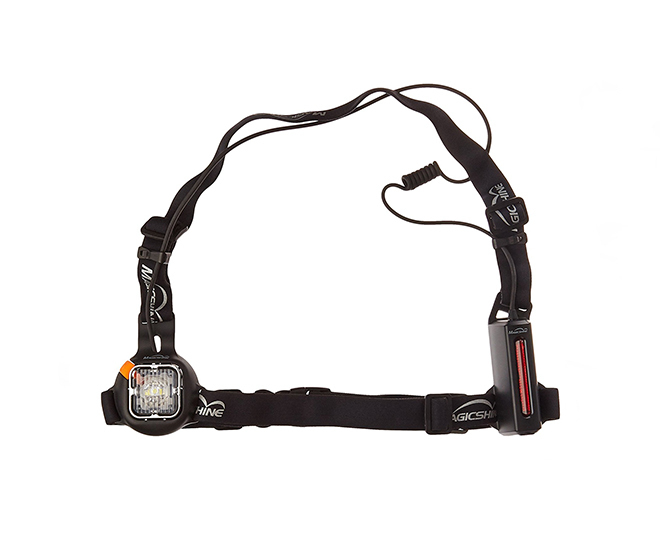 Front light is a single CREE XP-G2 LED with 200 lumens of max output, ideally situated right below your sternum, slightly to your left. 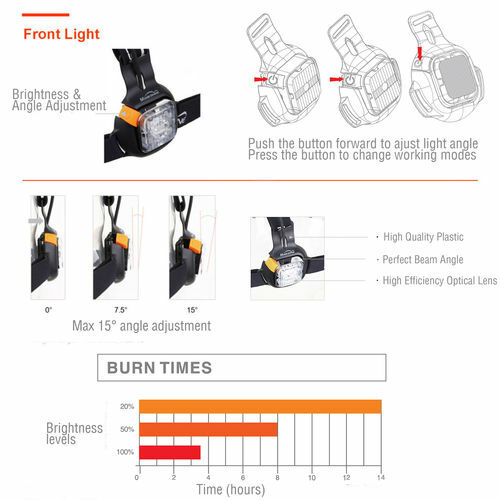 Rear light is made up of 8pcs red LED with flash beam, when worn sits at the center of your back. 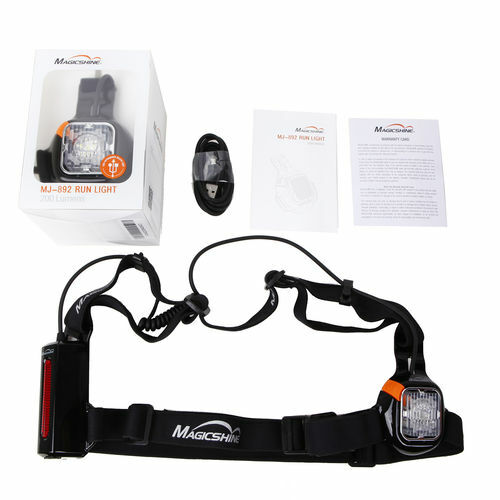 Comfortable & high quality reflective elastic band provides snug fit for almost all sizes. 1×18650 replaceable battery offers 3.5 hours of burntime on the highest brightness and up to 14 hours on low. There is a thin piece of insulation film inside the battery compartment, which has to be removed before the lights can be turned on.